Many congratulations Eddie on great accolade for The Theory of Everything playing famous physicist Stephen Hawking, with Felicity Jones at Toronto International Film Festival, previewing at BAFTA this week. 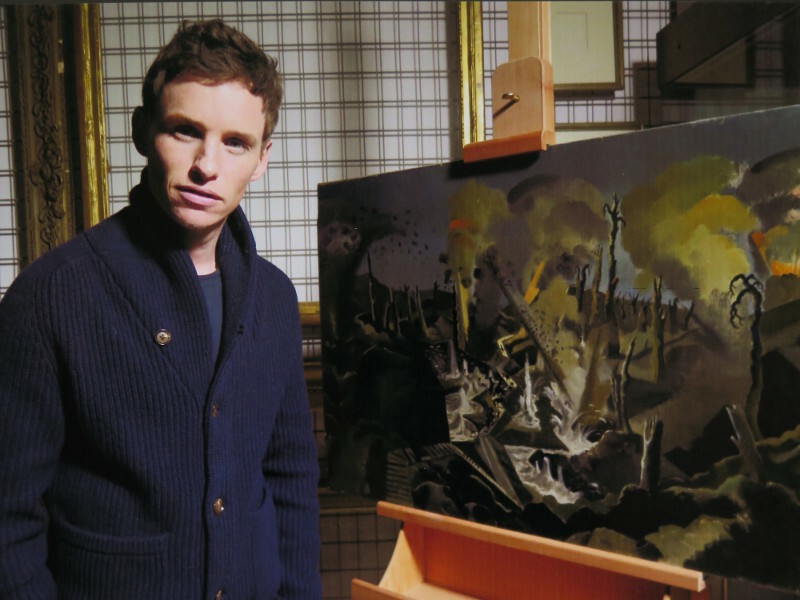 Next up War Art with Eddie Redmayne director Margy Kinmonth’s new film about artists in war zones, a Foxtrot Film coming soon to ITV Network. After a successful opening week in cinemas in the UK and internationally, Hermitage Revealed is being presented at a special BAFTA Members Screening this Saturday, 20th September at 15.00 in The Princess Anne Theatre at BAFTA London with Q & A with director Margy Kinmonth. Hermitage Revealed Director Margy Kinmonth at the Curzon Victoria. On its opening night there were no more tickets to be had, Curzon Victoria opened up all available screens, even bumping another movie to get people in. Also sold out in Dublin, The Jewish Centre, London and even Sydney, Australia. HERMITAGE | 250° anniversario – Evento cinematografico, solo il 14 ottobre nelle sale italiane! Hermitage Revealed will be screened in Italian cinemas on 14 October.